After Istanbul and Granada, our Travel House is moving to Tbilisi, the capital of Georgia. All travelers can stay there for free, between July 1 and September 1 2014. The Travel House is a place for travelers to sleep, eat, get to know each other, connect, share stories, experiences and skills. It’s a small step towards building a global culture of independent, exploratory and creative travels, but above all a step towards building a culture of solidarity and understanding of our planet. Over the past two years, 443 travelers coming from 51 countries were hosted in our Travel Houses. The youngest was 14 months old, the oldest 61 years. People traveled, explored, talked, cooked, played music, wrote and read, new friendships were forged and old were rekindled. Georgia is a great travel base for exploring the region. It shares borders with Turkey, Armenia, Azerbaijan and Russia. Iran and Iraqi Kurdistan are also nearby. There are ferries going across the Caspian Sea to Turkmenistan and Kazakhstan. 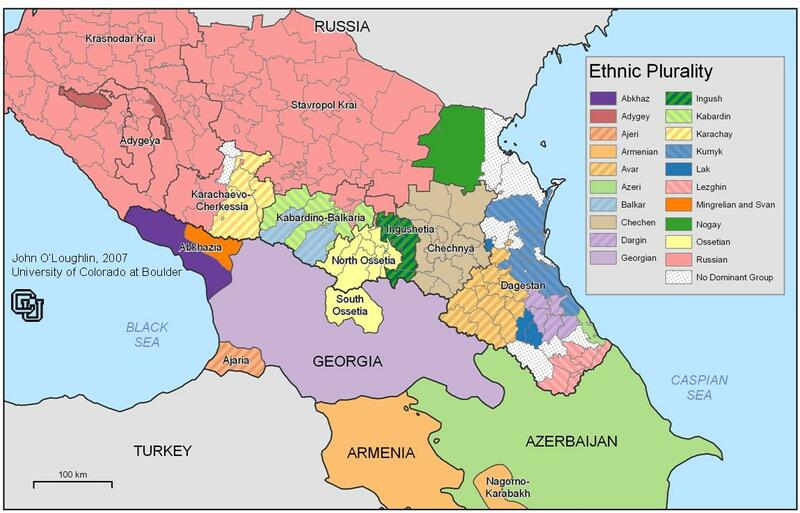 Caucasus region is inhabited by multitude of peoples, with their own distinct cultures and languages. There is the Russian republic of Dagestan, lining the Caspian Sea, right next to Georgia. There are also Abkhazia, Svanetia, Kabardino-Balkaria, Cherkessia, Ossetias, Chechnya, Ingushetia. If you thought Balkans is an extremely beautiful and dangerously complex ethnic mix, you should see the Caucasus. The limit for staying in the House is 4 nights. You will need to register via an application form that will be published soon. If there is room at the time you might be able to stay more, provided that you’re willing to help with the housework. 1. Balkan Flexipass, a rail pass valid for Serbia, Macedonia, Romania, Bulgaria and Turkey. If you're younger than 26 it costs 53 euros, and if you're older 88. With this ticket you can go from Belgrade to Kars (a city in the far northeast of Turkey, close to Georgian border) and back. From Kars to Tbilisi you can take a bus or hitchhike. 2. Turkish low cost company Pegasus offers cheap flights to Istanbul from many European cities, and also from Istanbul onwards to Tbilisi, Batumi, Krasnodar and Baku. For a map of all Pegasus’ flights please click here: all flights and Turkey. 3. Hitchhiking. Turkey is maybe the best country in the world when it comes to hitchhiking. Still, we advise girls against hitchhiking alone. 4. Bus ticket from Istanbul to Tbilisi is around 35 euros one way. 5. Wizzair flies to Baku (Azerbaijan) from Budapest. Price of a return ticket is around 90 euros. There are also flights to Kutaisi (Georgia) from Donetsk (from 60 euros per flight), Kyiv and Warsaw (from 50 euros per flight) and Katowice and Vilnius (from 70 eur per flight). 6. For those attracted by central Asia, Pegasus offers Istanbul - Almaty (Kazakhstan) for 140 euros one way. It is possible to go there by plane and return overland, or the other way around. You can check here whether you need a visa to enter Georgia. In the past two years, money for both Travel Houses was collected through donations on our website and in the House, and all costs are shown in detail in the final reports (2012, 2013). This year, our goal is to collect 3.000 euros, the amount necessary for the rent, water, power, gas and Internet for two months, as well as for some basic food and hygiene supplies which will be available to all visitors during these two months. If possible, we would also like to cover at least part of the travel expenses for the House staff - those who will go to Tbilisi to find and set up the apartment and make sure everything is running smoothly. Beside that, there are always unpredictable costs; in Granada, for example, we had to paint the walls (soiled after months of use) before leaving, which added an unplanned 400 euros. Unlike in previous years, this time the money will be collected through Indiegogo website, as well as through our own. We decided on Indiegogo in order to reach more international backers. Donation is not required for staying in the House; it will be open to anyone able to comply with some simple rules of conduct. It doesn’t matter whether you have the money to donate, just as it doesn’t matter whether you’ll be using the House or not. What’s important is that we all do something together and help the independent travel community. Not each man/woman for himself/herself, but travelers for travelers. 10. 965 $: Same as the previous one, but the hand drawn travel poster is A3 size. 11. 1.650 $: Same, but you get THREE unique, original, hand drawn A3 travel posters. If you want your gift, please add 3 $ for shipping for donations up to 140 $ if you live outside Serbia, Croatia, Bosnia and Herzegovina. Posters, badges and magnets are illustrated by our artists. Here are some examples of some of the gifts. Unique illustrations will be made subsequently, when needed. Your donation doesn't only help The Travel House in Tbilisi, but does a whole lot more – it helps the dissemination of this idea, making The Travel House a traditional annual project and The Travel Club a sustainable organization. The registration form for the House will be published soon. Support us and start packing, buying tickets and exploring maps.